Social justice is often described as the ‘foundation of public health.’ Yet, outside of the theoretical literature the polysemous nature of the concept is rarely acknowledged. 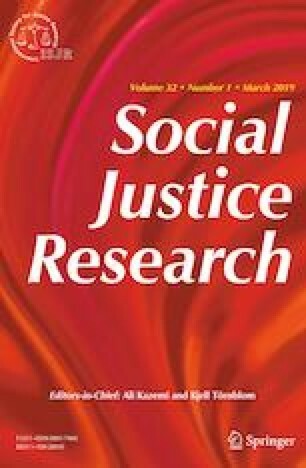 To complement recent contributions to normative theory specifically motivated by questions of social justice in public health, this study explores public health policy-makers’ perspectives on the meaning and role of social justice in their practice. This study involved twenty qualitative, semi-structured interviews with public health policy-makers recruited from two programmatic areas of public health [chronic disease prevention (CDP) and public health emergency preparedness and response (PHEPR)] within public health organizations in Canada. Participants’ perspectives appeared to be influenced by the perceived goals belonging to the programmatic area of public health in which they practiced. Those involved in PHEPR indicated that justice-based considerations are viewed as a ‘constraint’ on the aims of this area of practice, which are to minimize overall morbidity and mortality, whereas those involved in CDP indicated that justice-based considerations are ‘part and parcel’ of their work, which seeks primarily to address the unique health needs of (and thus, disparities between) population groups. The aims and activities of different programmatic areas of public health may influence the way in which social justice is perceived in practice. More ought to be done (in theory and in practice) to interrogate how the unique contributions that individual programmatic areas of public health can and should cohere in order to realize the broader aim that public health has as an institution to promote social justice.